Travelling abroad is always a mental exercise in planning and money management. When travelling to Thailand, the questions are endless. How much Thai Baht you should carry as cash? 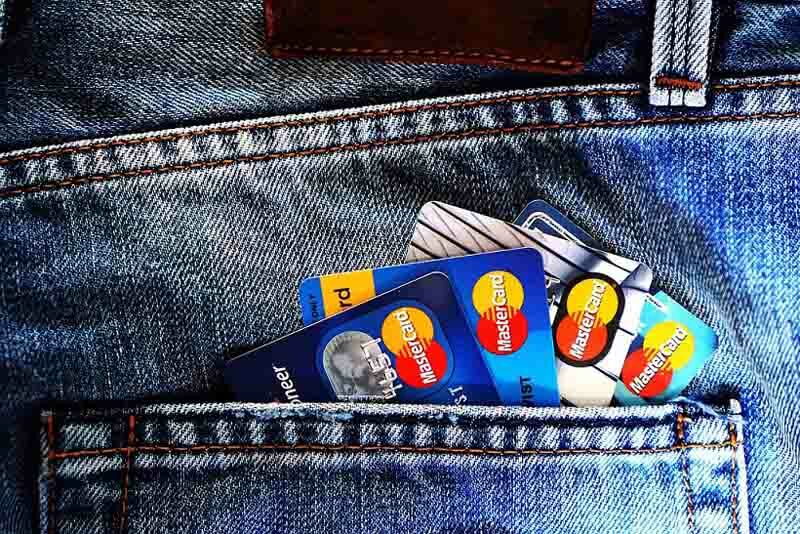 Should you carry a credit card? Should you exchange money before or after going to Thailand? and so on. But don’t worry. This guide is here to help you. We have the all the answers to your doubts on carrying money when going to Thailand from India. 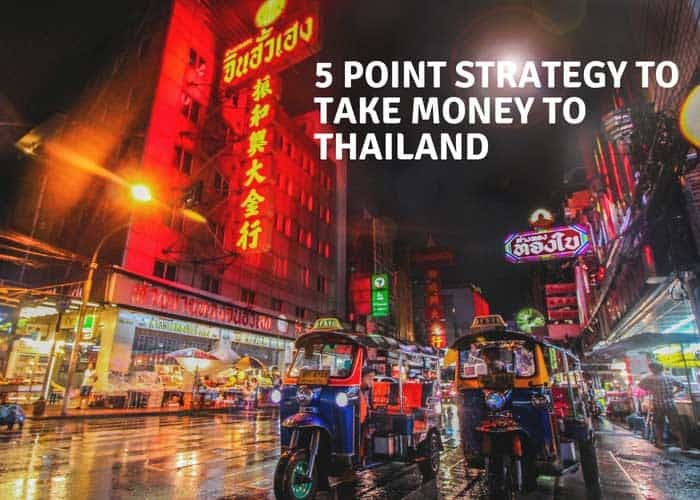 Take a look at our 5 point strategy to take money to Thailand in 2018. 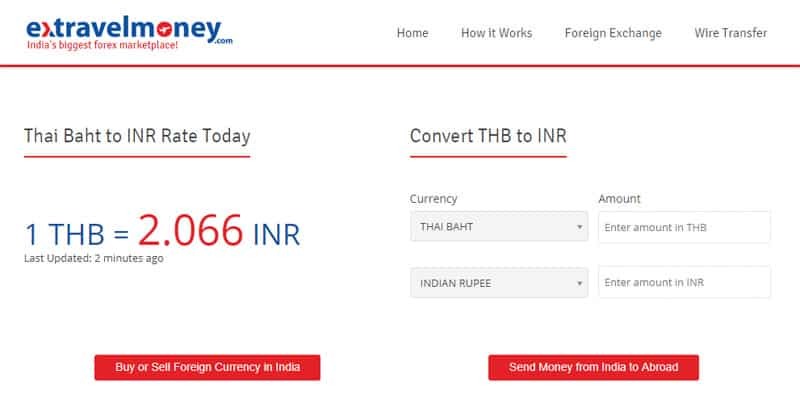 Converting your Indian Rupee to Thai Baht in India itself is your best bet. That is if you are looking to save money on currency exchange. Simply head to our online foreign exchange portal, extravelmoney.com. Compare the exchange rate of buying Thai Baht as cash and forex card from banks and money changers in your city. Once you find the best rate, book the transaction online, get your card and currency delivered the same day itself. ExTravelMoney has a special agreement with forex vendors to serve forex orders through the portal at market-beating exchange rates. Pro Tip : Avoid exchanging currency at the airport as it is the worst place to do it. The currency exchange counters that you see in airports charge high exchange rates and service fees. The cost of real estate to set up shop in airports is really high and thus forex vendors in airports charge high rates to maintain their business. When travelling in Thailand, you’ll need cash for paying in markets, for tuk-tuks (autos), songthaews (local buses) and at the street food joint you badly want to try out. It’s mainly a cash economy with only high-end businesses offering card payment option. Thus you’d need to carry at least 50% of your total expense as cash. If you have apprehensions on carrying so much cash on you, then carry at least cash required for 2-3 days of your stay there. The rest you can withdraw from ATMs as and when required (This has its own set of drawbacks which we’ll discuss by the end of this post). Forex cards are a good way to carry money abroad. 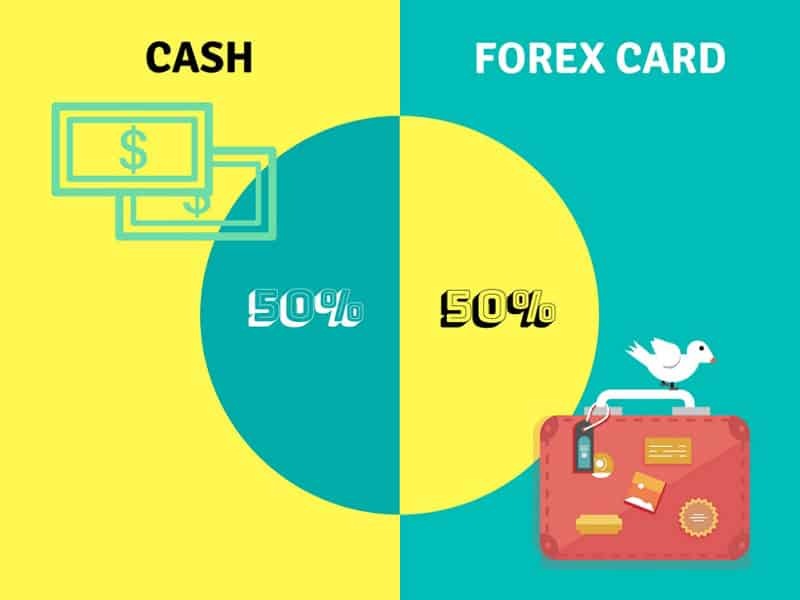 Load 50% of the total money as Thai Baht currency in your forex card. When shopping, dining, booking hotels or flights in Thailand, you can use your forex card to pay online or to swipe at PoS counters there. Since Thai Baht is already loaded in your card, there will be no currency conversion charges like in the case of credit/debit cards. 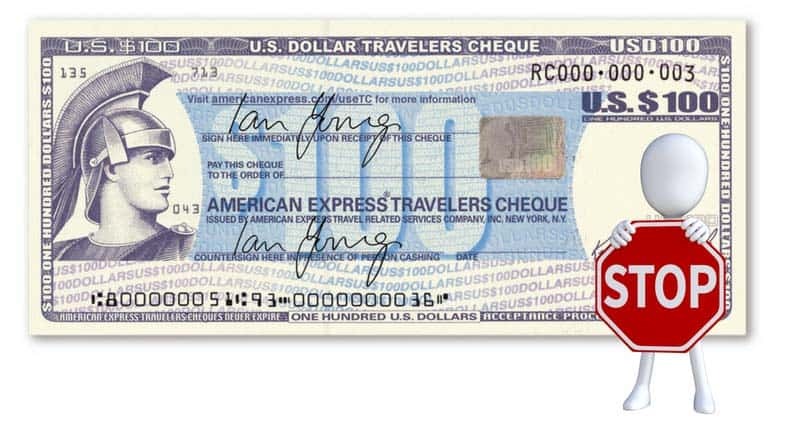 Don’t buy a traveller’s cheque thinking the exchange rates are better. They are a thing of the past now and rarely used. Most businesses don’t accept a traveller’s cheque. Even some banks don’t accept them. So it’d be better if you entirely skip this mode of taking money to Thailand. Credit and debit cards when used abroad can take a big chunk of money as card usage abroad + currency conversion charges. So usually it’s best to stay off them. However, there are cases where your forex card might not be working due to a technical error. It’s good to carry your international transactions enabled credit/debit card as a backup in such cases. In Thailand, everytime you go to an ATM to withdraw money, you are going to face significant losses. 200 Thai Baht is the fixed fee for ATM withdrawals. That is nearly INR 415 at today’s exchange rate (06/08/2018). If you are withdrawing money from ATMs twice a day to supplant your need for cash, a one week ATM withdrawal fee itself would cost you Rs 5,810!! Pro Tip : Don’t put all your eggs in one basket! If you are travelling abroad in a group, it’s best for all the members of the group to carry money equally. Also split the cash, with some in your wallet and some in your bag. Let’s take a look at some frequently asked questions regarding money matters when travelling to Thailand. Attention! : The Bank of Thailand recently launched the “Thai Banknotes” app to prevent travellers and other people from ending up with counterfeit Thai banknotes. The app provides the necessary information for any person to correctly identify original notes and spot fake notes. While the money changers present in ExTravelMoney’s online forex platform are licenced by RBI to perform money changing activities, we can’t say the same for other. If you are buying Thai baht from other sources, this app could be helpful to you in making sure the notes you receive are genuine. “Thai Banknotes” is available both in the iOS and Android platform. 1. What currency should we take to Thailand? Thai Baht is the legal tender of Thailand. You need to carry Thai Baht currency for your expenses there. 2. Can you withdraw money from ATMs in Thailand? 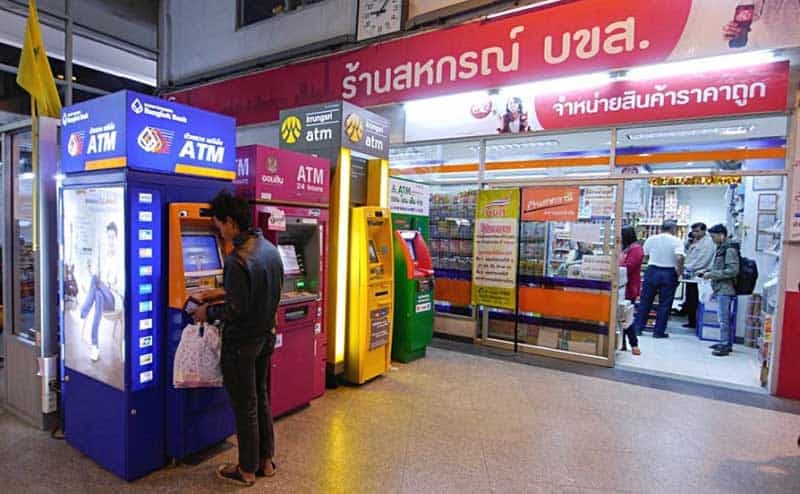 Yes, you can withdraw money from ATMs in Thailand. Most ATMs have a flat withdrawal fee of 200 Thai Baht. 3. Minimum funds required to enter Thailand in 2018? The minimum funds required to enter Thailand in 2018 is 10,000 Baht per person and 20,000 Baht per family. 4. How much money can we bring to Thailand when going from India? 5. How much money do you need for a 1-week Thai trip? A budget trip just covering food and hotel stays in Thailand for a week can easily offset you by Rs 16,000 to Rs 20,000. 6. Are US Dollars accepted in Thailand? No. Businesses would not accept payment in US dollars. If you are travelling there with US dollars then you change it to Thai Baht and use that for payments. 7. Should I exchange money before I travel to Thailand? It’s better to exchange your Indian Rupee to Thai Baht before travelling there as you’ll get better exchange rates. Also, you’ll immediately have cash in hand after landing there without needing to stand in queues at the currency exchange counter in the airport. Also, airport currency exchange is really costly as they charge high exchange rates and service fees. Check out https://www.extravelmoney.com/buy-sell-currency/thai-baht/ for best rates on buying Thai Baht currency and forex card. 8. Can we use our debit or credit card in Thailand? Yes, you can use your international transactions enabled credit/debit card in Thailand. Make sure to inform the bank of your travel abroad. This is because sometimes banks will block your card as part of their safety measures when they see card usage abroad, without receiving any prior notice. This is to prevent fraud and theft of funds in your card. Also Read: 7 Best Places to Travel in Thailand on a Budget & Like a Boss!